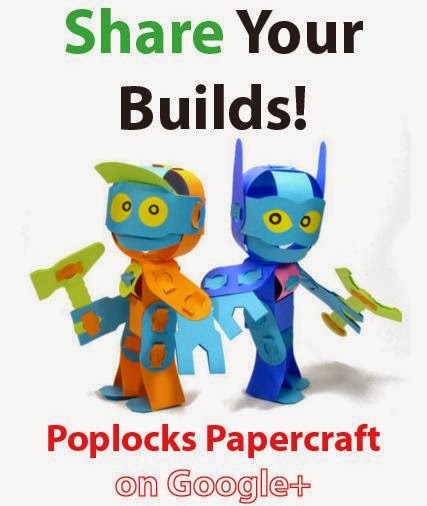 Paper Poseables: Poco Bot Go! Wow! So cute design, so great shapes! Your creativity is very nice! Are you member of www.nicepapertoys.com? Man, the mechanisms are pretty cool! My kids and I will definitely have fun with this one! You say "feel free to modify"... can you post your designs in some kind of vector format which makes it easier to modify them? So cute! And lovin' the posability. I always have to mod my papercraft to add it, but this one is included! yay! I built the Green Poco Bot while snowed in last week. It was very enjoyable and rewarding. I made a video of the dance party we had afterwards. I hope you like it! Thanks Ilikechxmx! I wish I had another snow day this week too :P Oh well... I'll spend all day today showing off your vid to my friends and family!